For obtaining the best and heavy duty Material Handling Cranes, Choudhary Crane Services is the most preferred name in the domain. 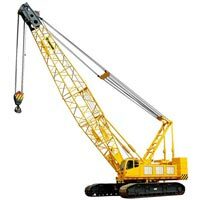 It is a well-known Supplier of various Material Handling Cranes, such as Hydraulic Telescopic Cranes, Crawler Cranes, Mechanical Cranes, Hydra Cranes, Franna Cranes and Vehicle Recovery Cranes. Along with that, the company is a Service Provider of Cargo Handling Services, Excavation Services and Erection Crane Rental Services as well. We have vast range of Material Handling Cranes with a wide range of capacities and capabilities, enabling us to serve varied requirements of our clients. Our appreciated services have enabled us to secure a huge clientele from various sectors, like oil & gas sector, power sector, sugar industry and cement industry. 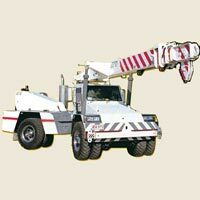 The company is one of the leading crane hiring companies in India. We have vast experience in this domain that enables us to offer Crane Services and other allied services with the assistance of technically sound personnel. We have a very experienced and dedicated team of employees, trained for operating varied range of cranes. We provide complete satisfaction to our esteemed clients with our excellence and perfection. 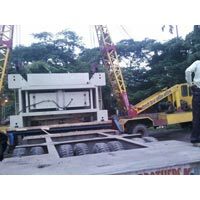 Owing to our quality norms and standards, we have been able to set an indelible mark in this industry for trading and supplying Crane Machines and Transportation Services. These products and services are provided as per the demands of our patrons. Moreover, keeping in mind the budgetary constraints of the customers, we offer these products and services at an affordable price.